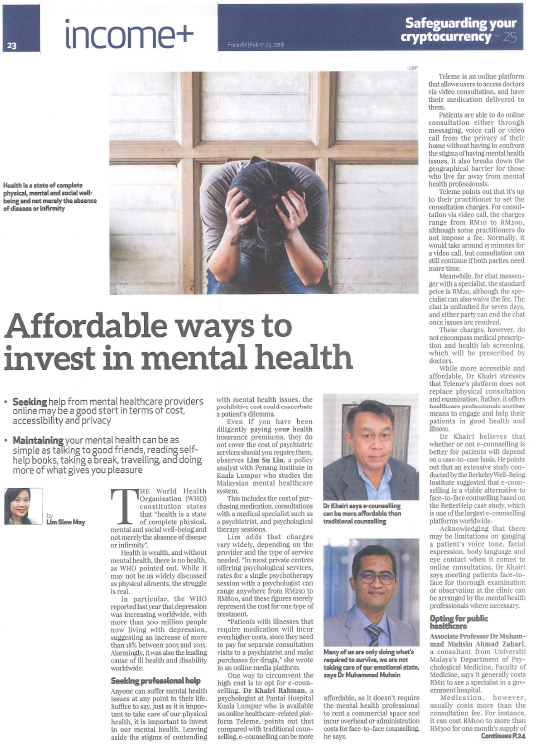 Thank you Focus Malaysia for featuring Teleme on affordable ways to invest in mental health. An excellent write up by Focus Malaysia on mental health. How can one seek help from a professional if it’s expensive? Seeking help from mental healthcare providers online may be a good start in terms of cost, accessibility and privacy. Download the full article below in PDF following the link below or click here to read the online version on Focus Malaysia. E-counselling can be more affordable compared to traditional counselling as it doesn’t require mental health professionals to rent a commercial space and incur overhead or administration costs to perform face-to-face counselling at a clinic. Teleme’s platform is readily available for mental health professionals to use and is equipped with features to monitor user’s health progress. Teleme’s platform allows mental health professionals to send advice, educational leaflets or videos online to help their patients. It allows users to reach out to their mental health professionals even after the clinic is closed. In fact, mental needs can arise anytime and it is very reassuring for the users to know that a mental health professional is available to them at the click of a button on their mobile phone. Each of Teleme’s mental health professional on board usually has an area of specialization such as child psychology, autism, addiction, grief counselling, anxiety and etc. 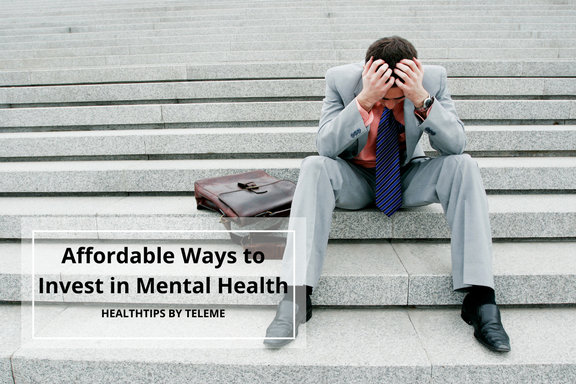 Teleme’s platform allows users to consult mental health professionals at their own convenience, anytime and anywhere. Users are able to do online consultations from the comfort of their own home as some of them may feel uncomfortable to leave their home to visit a clinic due to the stigma of having mental health issues. It’s also useful for users who are residing in rural or remote areas with limited access to mental health professionals who are often based in the big towns or cities. In addition, Teleme’s platform allows users to choose their preferred method of communication with a mental health professional from messenger, video call or voice call (which can only be initiated by the practitioner and it’s normally initiated after the user and the practitioner conversed via messenger). At the end of the online consultation, the mental health professional can write a consultation summary to share with users. This summary will help users to understand all the issues discussed and then carry out the recommendations suggested. Don’t suffer in silence. You’re one click away to seek for help on Teleme.